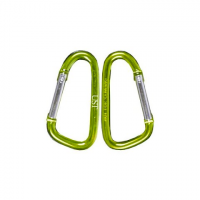 Spring-loaded D-shaped carabiners are lightweight strong and durable. Great for all outdoor applications where a secure attachment is needed but not suitable for climbing. 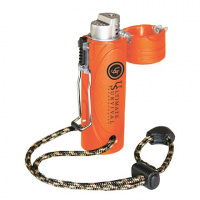 The Trekker stormproof lighter features an extra large fuel tank to provide over 1000 ignitions. The stainless steel wire closure with a rubberized casing make it watertight. 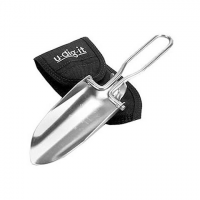 The U-Dig-It Pro is THE original folding shovel. This essential multipurpose tool that has served a generation of outdoor enthusiasts is made of heavy-gauge steel. It is rugged yet collapses for compact storage in sheath.